In the highly competitive world of online advertising, every bit of information counts if it can lead to a better-targeted ad. 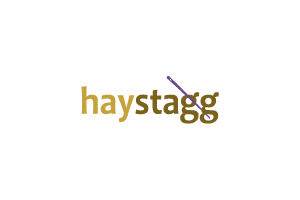 Haystagg, a Boston-based company that tries to boost the performance of digital ads for advertisers and agencies, announced it has received $600,000 in funding from Mark Cuban, the billionaire investor and owner of the Dallas Mavericks, and Barbara Corcoran Venture Partners, whose namesake founder stars on the show “Shark Tank” with Cuban. The funding will help the company extend its advertiser base, Haystagg said in a statement. Programmatic advertising automates ad buying and allows advertisers to bid for ad space on a website in real-time. Companies can use data—such as the “cookies” that websites track when a person views the site in order to get insight into that user’s interests and demographics—to buy ad space according to the type of person they want to target. Haystagg has developed a method of targeting ad campaigns based on users who have little cookie information available or who block cookies entirely, the company says on its website. Haystagg’s “situational targeting” technology is able to gain information about and advertise to that “unseen population,” which allows for more selective ad placement, the company says. Kima Ventures, which was founded in 2010, also participated in the financing, which was not related to “Shark Tank.” Haystagg total funding is just over $1 million, according to a spokeswoman, and the company is still raising money.